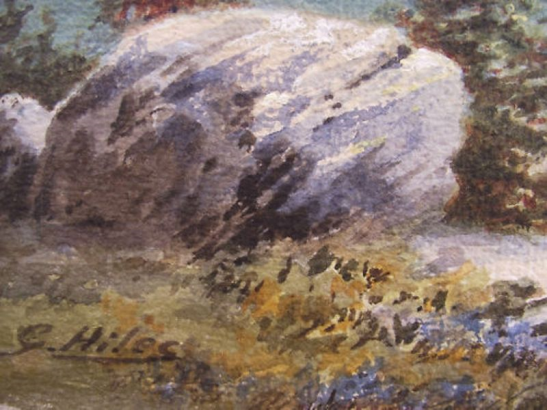 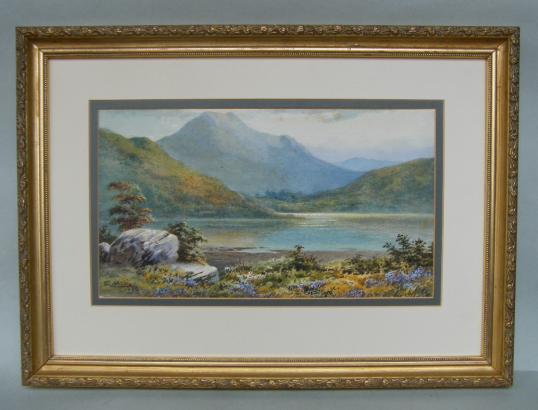 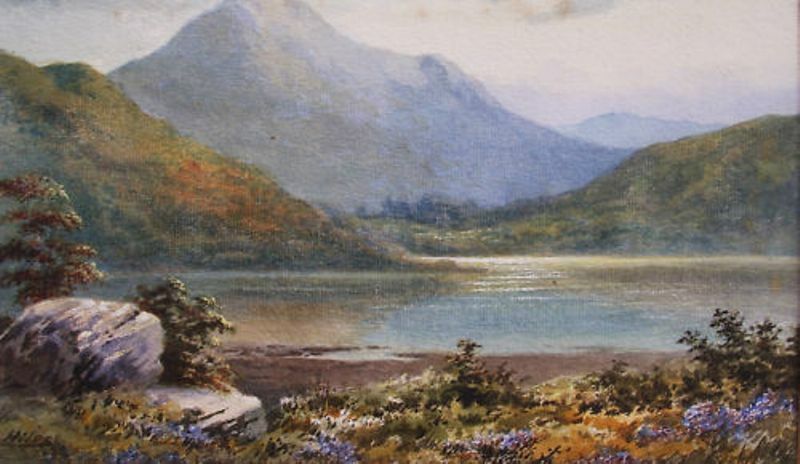 Quality Irish Watercolour on Paper of a View of The Lakes of Killarney with rocks and wild flowers along the shore and mountains and hills in the distance, in County Kerry, Ireland, by English Artist George Hiles who was from Stoke Newington in London, he exhibited at the Royal Academy in 1892. Signed lower left and titled on back "Lakes of Killarney" . Condition: Nice unfaded condition with colours still nice and fresh. 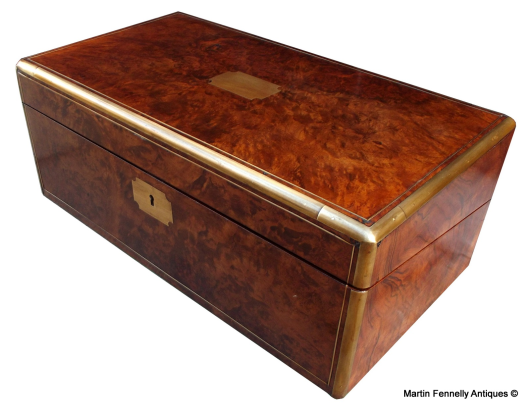 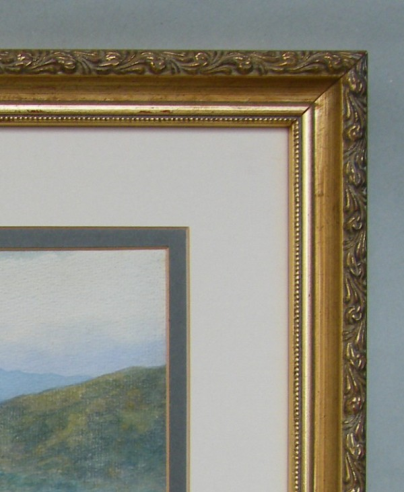 Recently framed with a stylish gilt frame and double mount, this item is glazed.